India is fastest growing e-commerce market: Report. NEW DELHI: The country's GDP (gross domestic product) growth slowed to 7.1 per cent in the September quarter (2018-19) from 8.2 per cent in the June quarter, government data showed on Friday. The GDP growth rate came at 6.3 per cent in the same period last year. The gross value added (GVA) growth rate for the second quarter came at 6.9 per cent from 8 per cent in Q1. Despite the slow GDP growth, the country still remained ahead of China to retain the world's fastest growing economy tag. The GVA gives a picture of the state of economic activity from the producers’ side or supply side, as opposed to GDP which gives the picture from the consumers’ side or demand perspective. The data showed that mining and quarrying output has declined by 2.4 per cent in the quarter from a growth of 6.9 per cent in year ago period. However, the manufacturing activities expanded at the rate of 7.4 per cent in the quarter under review up from 7.1 per cent in the year ago quarter. The construction sector too showed an improvement by recording a growth of 7.8 per cent as against 3.1 per cent earlier. And, the farm sector too grew at a higher rate of 3.8 per cent in the quarter as against 2.6 per cent a year ago. The growth rate came below expectations as a Reuters poll had projected that the Q2 figures may slow down to 7.4 per cent. A majority of analysts had expected a slip from the surprisingly high growth figure of 8.2 per cent, achieved in the first quarter. Growth will continue to be under pressure for the remainder of the current fiscal as well and the FY19 growth number will come at 7.1 per cent, economists at private sector lender Axis Bank said in the report. In another set of data released by the government, the growth of eight infrastructure sectors accelerated to 4.8 per cent in October from 4.3 per cent in September. 'Still, the highest growth rate in the world ‘Reacting to the GDP numbers, economic affairs secretary Subhash Chandra Garg said, "7.1 per cent GDP growth for September quarter "seems disappointing", but growth rate for the first six months of the fiscal is robust and healthy." "GDP growth for second quarter 2018-19 at 7.1 per cent seems disappointing. Manufacturing growth at 7.4 per cent and agriculture growth at 3.8% is steady. Construction at 6.8 per cent and mining at -2.4 per cent reflect monsoon months deceleration," Garg tweeted. NEW DELHI: India has the fastest growing online retail market among top global economies. The country’s online retail market witnessed a compound annual growth rate (CAGR) of 53% for the period 2013 to 2017, according to a latest report by consultancy firm Bain & Company. The rapid growth, albeit over a small base, has been driven by aggressive discount-driven e-commercemarketplaces, advances in delivery infrastructure and increased smartphone penetration and data usage.These conditions are giving rise to large retail ecosystems. “What we’re seeing is the emergence of scale open retail ecosystem platforms across the Asia Pacific region that offer retailers a compelling alternative to building and scaling their own capabilities,” said Melanie Sanders, partner at Bain & Company. Retail ecosystems comprise communities of consumers, retailers and partners that rapidly reshape the retail landscape. They deliver a very sticky consumer proposition by combining services like e-commerce, chat, streaming, gaming or payments in a single platform or app, which shoppers are adopting globally, the report said. While Alibaba and Tencent lead the best-known Asian ecosystems, India too is witnessing the emergence of retail eco-systems, led by Reliance, Flipkart/Walmart, Amazon/Future Group and Alibaba. India’s total e-commerce retail sales in 2017 were pegged at around $20 billion and studies have indicated that another $50 billion of online e-commerce could be unlocked by adding new users and luring back internet users that do not currently shop online due to various reasons. Despite the rapid growth, online retail penetration in India is low at 5% compared with markets such as China (20%) and the US (12%). India was ranked eighth in terms of online retail penetration among 11 countries.Consumer electronics segment in India has the highest online penetration (17%, which is e-commerce sales as percentage of total retail sales) followed by apparel and footwear (9%) and beauty and personal care (1%). Food & grocery, with overall retail sales of around $530 billion in 2017, has one of the lowest online penetrations at 0.1%. Mumbai: Prime Minister Narendra Modi plans to unveil a long-awaited industrial policy soon to boost domestic manufacturing and accelerate economic growth before federal polls next year. Under the new plan, a company need not purchase land or equipment but could lease them on long-contract basis helping lower costs and cut down time on setting up operations, secretary to the Department of Industrial Policy and Promotion Ramesh Abhishek said in an interview. Units located in industrial clusters may be able to share infrastructure. “We have to be competitive,” said Abhishek, who’s ministry has been working on the plan for over a year. “For this we need to upgrade our technology, lower costs, improve logistics, skill our labor. The industrial policy will bring all things together and will come out with recommendations on what needs to be done.” Prime Minister Modi’s administration has been struggling to fulfill one of his key campaign pledge—creating 10 million jobs a year—that propelled him to power in 2014 elections. As the country heads to poll due early 2019, the main opposition Congress party is moving to cash in on the disenchantment over unemployment and rising social tensions. The reform measure, likely to be one of the last few before the Modi seeks re-election, attempts to attract over $100 billion in investments into the country and kick start the economy. Quarterly growth is expected to have slowed in the three months ended September even as a liquidity crunch at its banks hurts business sentiment before state elections. Rules will be eased for small and medium businesses which constitute more than 90 percent of the Asia’s third-largest economy. India jumped 23 places to the 77th position in the World Bank’s global ease of doing business rankings announced earlier this month. The government is also completing work on the $100 billion Delhi-Mumbai Industrial Corridor that has been delayed by a decade. Work on $2-billion worth of projects has been completed with companies being allotted land to set up factories. New Delhi : As much as Rs 32,000 crore lying in the integrated goods and services tax (IGST) pool has been apportioned between the centre and states in the month of October. The states’ share would be over Rs 15,000 crore, the official told PTI. The apportionment would add to the goods and services tax (GST) revenue of both the centre and states for October. The total revenue collection figures for the month would be released on November 1. This is the fifth time that IGST funds have been divided between the centre and states. As much as Rs 29,000 crore was settled in September, Rs 12,000 crore in August, Rs 50,000 crore in June and Rs 35,000 crore in February this year. When some substantial amount accrues to IGST pool it is apportioned between the centre and states so that it does not lie idle with the centre, the official said, adding Rs 32,000 crore had been apportioned this month. Under GST, the tax levied on consumption of goods or rendering of service is split 50:50 between the centre and the state. Such tax is known as central GST (CGST) and state GST (SGST). On inter-state movement of goods as well as imports, an IGST is levied, which accrues to the centre. A cess is levied on top of these taxes on sin and luxury goods which make up for the compensation kitty used to make good of any revenue shortfall faced by states on implementation of GST. Ideally, there should be ‘nil’ balance in the IGST pool since the amount should be used for payment of CGST and SGST. As some businesses are ineligible to claim the benefits of input tax credit (ITC), the balance gets accumulated in the IGST pool. The finance ministry has targeted monthly GST collections to be Rs 1 lakh crore for this fiscal, but the actual mop-up has fallen short of the target month after month. The sole exception was the month of April in which the numbers exceeded Rs 1 lakh crore. The collections stood at Rs 94,016 crore in May, Rs 95,610 crore in June, Rs 96,483 crore in July, Rs 93,960 crore in August and Rs 94,442 crore in September. Dhaka- Bangladesh High Commissioner to India Syed Muazzem Ali has urged the Indian businesses to make greater investment in Bangladesh for mutual gains of the two closest neighbours. “Prime Minister Sheikh Hasina and her government have given maximum importance to transforming Bangladesh into one of the most favoured investment destinations in South Asia,” the envoy told a seminar at Aurangabad, Maharastra on Friday describing Bangladesh as the “most liberal and business friendly economy” in the region. The seminar on investment potentials in Bangladesh was jointly organised by Marathwada Chamber of Industries and Agriculture and Bangladesh Deputy High Commission in Mumbai, according to Bangladesh High Commission in New Delhi. He said pro-investment policies are being implemented along with massive reforms in the relevant government organisations. With annual economic growth registered at 7.86 percent, Bangladesh, the envoy said, is hungry for more investment in its economy. Bangladesh needs substantial foreign and domestic investment to keep patch with the high trajectory of economic development, he said. As one of the world’s fast-growing economy, India can seize the business opportunities offered by Bangladesh. Indian business giants like Ambani ,Adani and others are coming forward, said the High Commissioner. “But the Indian investors’ response is not enough. They need to be more vigorous,” he said. 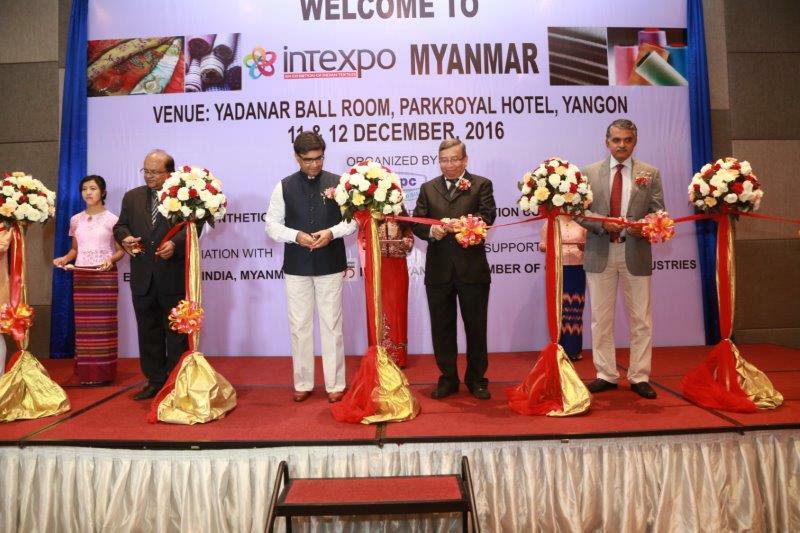 Syed Muazzem said despite common economic advantages, two nations have evolved in different industry sectors. “While garments and agricultural products are exported from Bangladesh, Indian exports include automotives and pharmaceuticals.” This can be overcome if Indian investors set up a series of “buy-back” projects in Bangladesh and re-export to India and some other neighbouring countries, he said. The High Commissioner pointed out that similar equation exists between US-Canada and US-Mexico. He said India and Bangladesh may delve into joint venture partnership in important sectors such as agro processing, automobiles, ceramics, chemicals, gems and jewellery, light engineering, ICT, hospital and medical equipment, pharmaceuticals, plastics, professional services, tourism, textiles (including home textile). India has capital and technology, while Bangladesh has one of the best mixes for competitive market, business-friendly environment and competitive cost structure, he said. The High Commissioner said Dhaka offers a well-educated, highly adaptive and industrious workforce with the lowest labour cost in the region. The envoy said Bangladesh offers the most liberal FDI regime in South Asia allowing 100 percent foreign equity ownership with unrestricted exit policy, remittance of royalty and repatriation of equity and dividend. The rupee strengthened further by 27 paise to close at a four-month high of 69.58 against the U.S. currency on Friday, extending gains for fourth day in a row aided by easing crude oil prices and steady stock markets. The rupee traded strong against the U.S. currency despite a firm dollar overseas, signalling a change in sentiments of forex speculators, analysts said. At the Interbank Foreign Exchange, the rupee opened higher at 69.69, and soon gathered momentum to touch a high of 69.57. The domestic unit, however, pared some gains and settled the day up by 27 paise at 69.58 a dollar, a level not seen since Aug. 1. On Thursday the rupee had vaulted 77 paise to a three-month high of 69.85 per U.S. dollar. "The INR remained unchanged today despite dollar strength, signaling changing sentiments amongst forex speculators, a rise in FII inflows and crude stabilising below $60," said Sunil Sharma, chief investment officer at Sanctum Wealth Management. Sharma further noted that the key events this week will be the discussion on trade between China and the U.S. at the G-20, and agreements, if any, on crude supply cuts amongst OPEC nations. Traders said sustained foreign fund inflows, easing crude oil prices and a smart recovery in domestic equity markets also aided the local currency. Globally, Brent crude, the international benchmark, was trading 1.18 percent down at $58.81 per barrel. Well, seems textile engineering is the buzzword for reimagined fashion. Studios like Akaaro, which define themselves as organic chic, have looms and create their textile, which can take months. In one of the pieces, a crop top, the placement of the design was woven as a single piece and there were no repeats in it at all. There is much that is happening in India towards celebrating the traditional textile craft of the country but like they say the more the merrier. 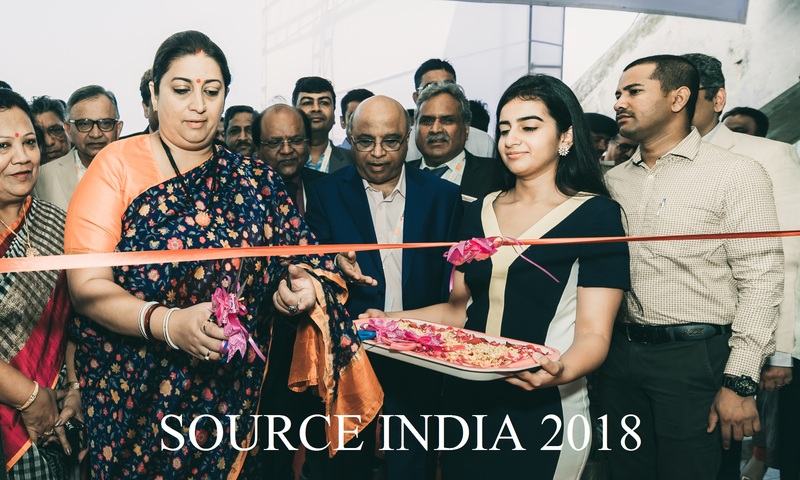 And when there are innovations like merged fabrics, new silhouettes or engineered fabrics, all under one roof, options for the buyer are galore. The diversity in the textile can also be seen from the different regions they come from — Kashmir to Tamil Nadu, West Bengal to Baroda. From Kanjeevarams to Balucharis, the Naayab exhibition curated by Rupa Sood, a former designer, and Sharan Apparao, both members of the Yarn Club, which was facilated by The Lodhi to encourage textile lovers. At the current exhibition, among the many fabrics stood a lone En Inde that had stainless steel and jute accessories inspired from tribal designs since the designer spent a large part of her youth in Africa. Started by Anupama Sukh Lalvani and Sonal Sood, the brand is cutting edge, quite literally since many of the necklaces are inspired from African tools. The sharp edges of the cold metal surface entwined with jute and horse hair is an amalmagation of the old and the new, the rustic and the industrial. While brands like Akaaro by Gaurav Jai Gupta and Urvashi Kaur stood apart for being contemporary in their silhouettes, there were fundamental differences in their colour palette. Gupta’s collections were divided into sections for the winter, festive, engineered textiles and sarees. Straight and A-line cuts ruled the collection mostly but the use of metals was also heavy. The studio has its own loom and a single piece could take up to four months of time to go from start to finish. Kaur brought her winter and festive collections, but the contemporary winter pieces were what caught our eye for their European colours, subtle and sometimes dark, with minimalism being the overarching tone. She wanted to create pieces that can be worn daily or while travelling since the Indian woman has begun to choose travel as essential to well-being. With multiple jackets and drapes, she believes in layering the A-line or straight silhouette pieces with sarees or dresses. “You can dress them up or dress them down, they are versatile,” Kaur, a Delhi-based designer, said. Meanwhile, designer Karan Torani, who dressed in a kurta and pashmina and stayed barefeet indoors, was passionate about his creations, which according to him are meant for women of all sizes, shapes, colours and ages. Heavily inspired by his grandmother, who would call kalamkaari artists to her home in Bhopal to do up her walls, and his mother, who made him realise that fashion has erroneously become focussed on the youth alone. So, he creates oversized Persian influenced jackets for all seasons, which he calls the Choga jacket, which according to him are much like the Kimono but have more definition. “I love the sarees and I have many in my collection but those in my mother’s generation shouldn’t be restricted to sarees alone. Also, my creations are not for an occasion alone. It’s a lifestyle. If somebody enjoys a Chanderi or Banarasi, they should be able to wear it all through the day,” he said. The exhibition also has pashmina shawls, ornate and subtle Banarasis and cotton sarees. Sood and Apparao believe that those working with Indian textile crafts have been chosen for the exhibition but they chose designers young and old, doing conventional and contemporary for it to create diversity in choice. “India is the only country with such a vast textile heritage. 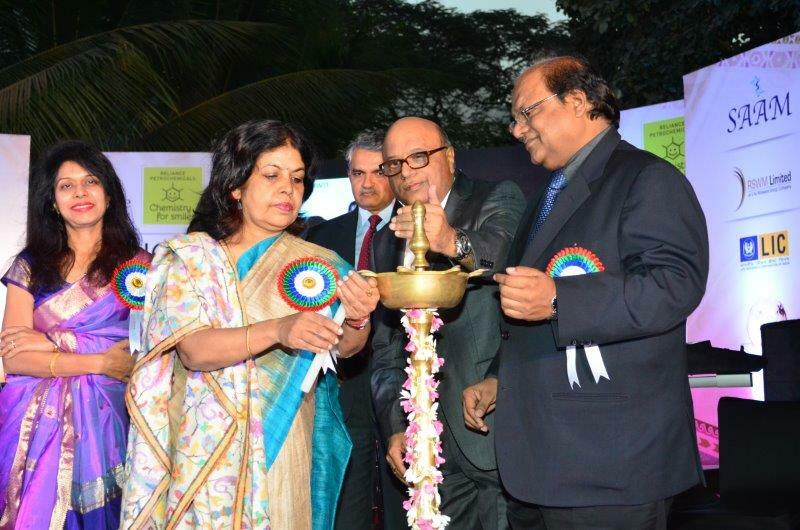 The focus of Naayab is Indian textile quality crafts, people who are working with artisans,” said Apparao. On being asked what they wore to the occasion, Sood said that since they like to encourage the artists whose works they curate they wore their outfits. She was dressed in an Bodhi outfit while Apparao was in a Perro outfit. 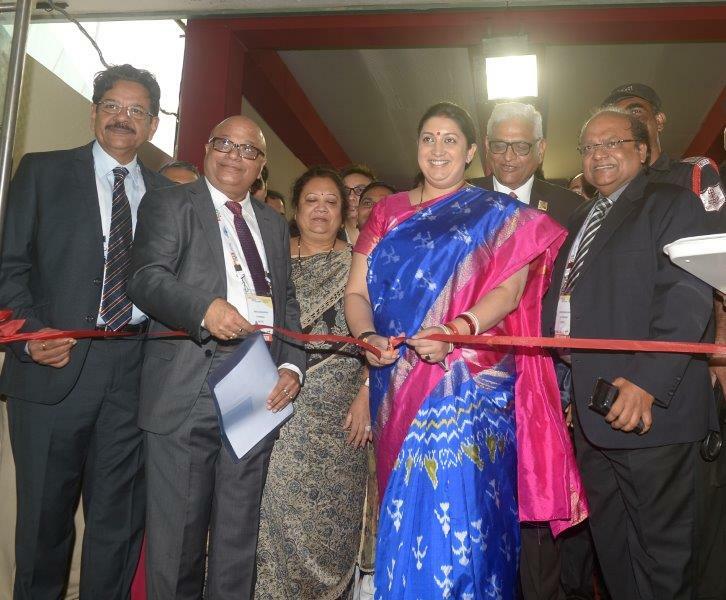 LN Revathy Weaves, a trade fair aimed at showcasing the potential of the powerloom and handloom sector in Tamil Nadu, is slated between December 5 and 8 at Texvalley in Erode. 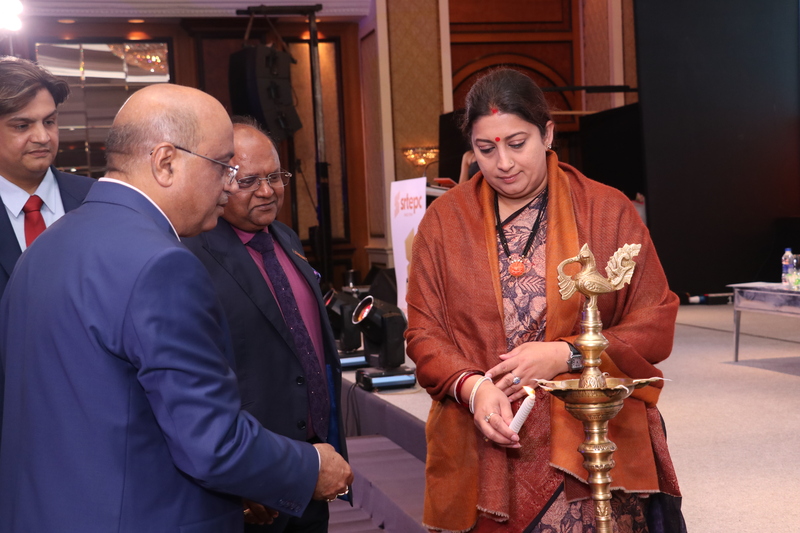 The maiden edition of this event is being organised jointly by the Confederation of Indian Industry and Texvalley, an integrated textiles market. The organisers hope to make this an annual event. 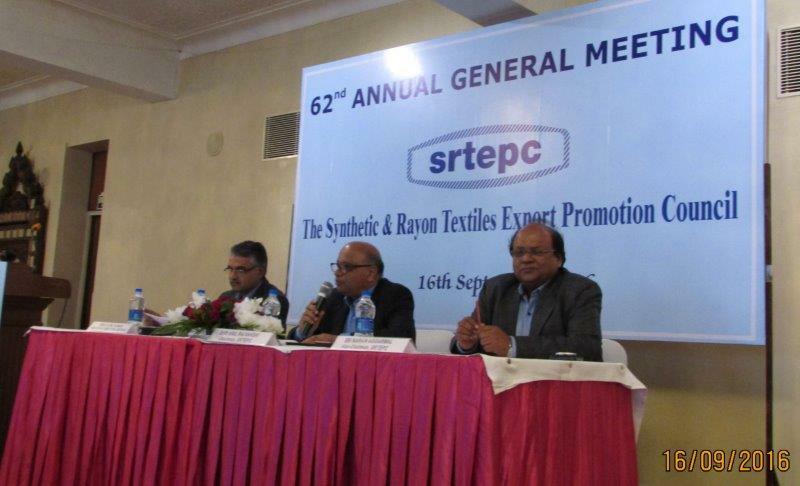 “The weaving segment does not have enough exposure to the market. We spoke to members of more than 88 clusters in the State before we conceptualised and embarked on this event. The issues ranged from yarn, pricing, to GST. While each cluster is exclusive in its own way, we realised that they had difficulty in marketing their products,” said C Devarajan, Past Chairman, CII Erode and Vice-Chairman, Texvalley. 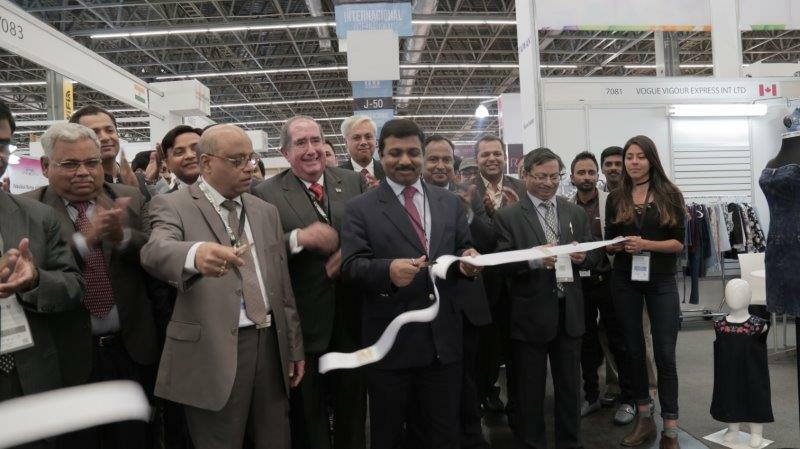 More than 250 exhibitors have confirmed their participation. 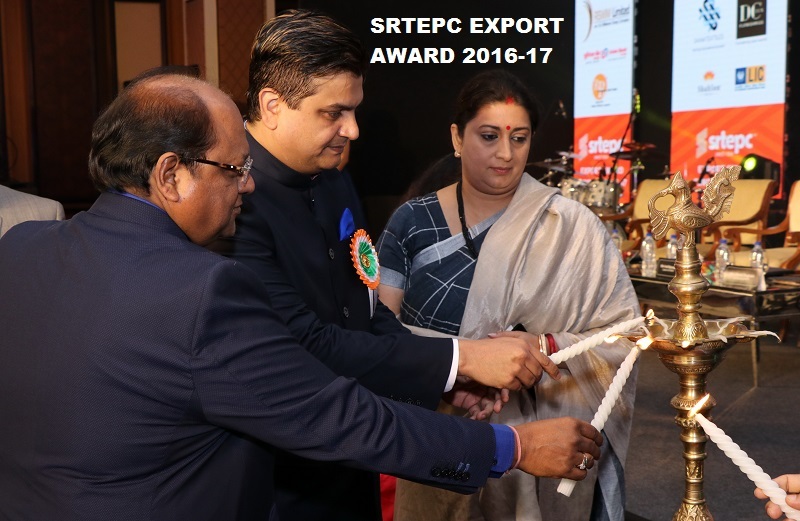 The exhibits would range from Premium Greige, processing and finishing, ethnic wear and knitted fabric, handlooms and khadi, home textiles, textile accessories and machinery. 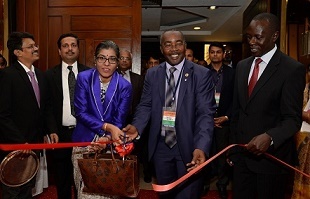 Participants from Sri Lanka, Bangladesh, Myanmar, Vietnam, the United Arab Emirates, Kenya and South Africa have confirmed as have members from weaving communities in Surat, Banaras and Dharmavaram, he said. There will be separate pavilions for yarn, fashion designing and Nabard cluster. A coffee-table book featuring stalwarts of the textile industry in Tamil Nadu would be released, he added. DP Kumar, Executive Director, Texvalley, said that 25 powerloom clusters in the State would be signing exclusive joint venture agreements with 25 educational institutions. 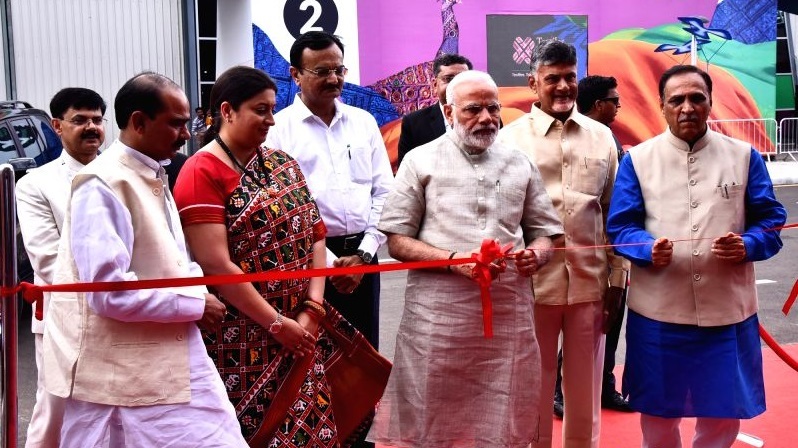 The event is expected to gain significance as Tamil Nadu is home to 5.7 lakh powerlooms and 210 powerloom weaver cooperative cocieties covering 46,000 looms. 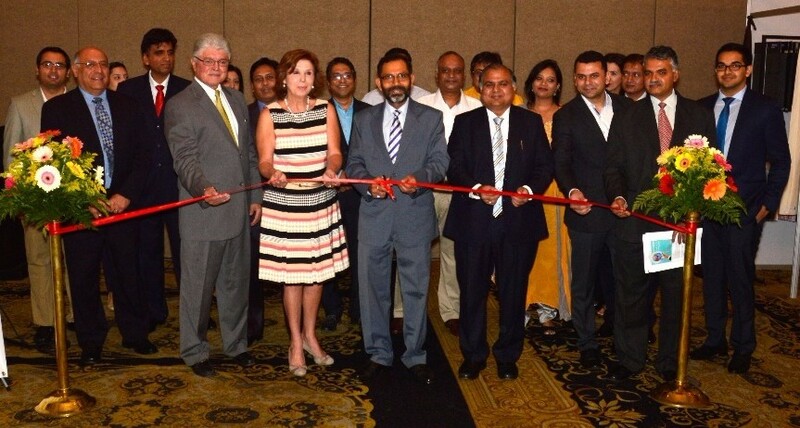 The platform will provide an opportunity for the weaving clusters to showcase their potential to both domestic and international buyers during the four-day event, said the ED of Texvalley. Syed Mazhar Ali Nasir, Senior Vice President, FPCCI, during his recent visit to Turkey raised matters related to textile and surgical goods imported from Pakistan. Meanwhile, Indonesia unilaterally announced concessions on 20 tariffs and Chinese delegations have arrived for purchasing high-quality fabric. 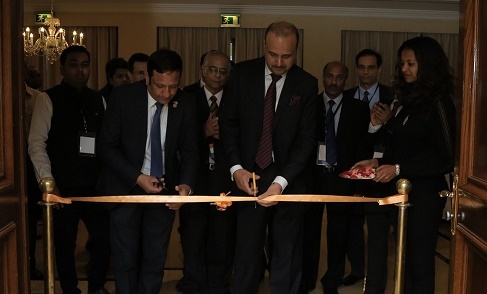 According to FPCCI sources the official while attending CACCI Business Forum – 2018 held in Istanbul also called on – Turkish Vice-President Faut Oktay and discussed the rise in duties on textile goods imported by Turkey from Pakistan. Razak Dawood said the government is committed to narrow the trade deficit and in this regard, a comprehensive strategy is being initiated to get market access to potential markets of the world. Nasir brought into the notice of Turkish Vice President that increase in the duty from 18 percent to 26.4 percent had resulted in the reduction of exports of Pakistan to Turkey. It was said to had declined by 69 percent, that is, to 282 million dollars in 2017 from 906 million dollars in 2011. Syed Mazhar Ali Nasir was said to have also referred to the export of surgical instruments being produced in Sialkot (Pakistan) and imported by Turkey under German brand Names. FPCCI official submitted before the Turkish Vice President that strong brotherly relations between the two countries must be stabilized in the economic-terms too. Seeking regular dialogue between business communities of the two countries, Nasir suggested single country exhibitions and B2B meetings. Indonesia has notified unilateral concession on twenty tariffs to Pakistan to provide it more market access through expansion of Preferential Trade Agreement between the two countries. This was stated by Adviser to Prime Minister on Commerce, Textiles and Investment, Abdul Razak Dawood while addressing a press conference in Islamabad. The Adviser said the concession will provide market access to Pakistan’s textile and agriculture items including rice, mangoes, and citrus, ethanol, home textile, and towel. He said after this trade facility, there would be a further increase of around one hundred fifty million dollars in Pakistan’s exports to Indonesia. Abdur Razak Dawood said the government is committed to narrow the trade deficit and in this regard, a comprehensive strategy is being initiated to get market access to potential markets of the world. He said the Ministry of Commerce has evolved a comprehensive National Tariff Policy, which would be presented before the Cabinet for approval today. Pakistan devalued its currency on Friday for the fifth time this year as the nation negotiates a bailout with the International Monetary Fund. The rupee fell 3.8 percent to 139 per dollar at close from 133.9 on Thursday. The rupee has erased more than a fifth of its value to become the worst performer in Asia this year, according to a basket of 13 currencies compiled by Bloomberg. Officials at the central bank declined to comment. “There was a need for an adjustment,” Prime Minister Imran Khan said in Islamabad. “Large deficits are impacting the currency as foreign payments are causing a shortage of dollars.” The devaluation comes after talks with the IMF for a bailout to bridge a $12 billion financing gap stalled without an agreement after Khan’s government said it wasn’t ready to accept some of the lender’s conditions attached to the rescue package. Pakistan’s Finance Minister Asad Umar told Bloomberg this week the $305 billion economy can afford a two-month delay as it looks for alternates to the IMF after receiving $1 billion from Saudi Arabia. Pakistan’s currency, which is a managed by the central bank, is one of the reasons negotiations hit an impasse with the IMF, Abid Qaiyum Suleri, an economic adviser to the government, said in an interview last week. The IMF has long advocated Pakistan to loosen its grip on the rupee. “The currency is managed by the central bank and it can’t manage the rupee artificially for a long time,” Umar said at a briefing in Islamabad on Friday. Pakistan’s latest economic crisis emerged after the current account and budget deficits widened and the foreign reserves dropped to a four and a half year low. “The currency adjustment is in line with our expectations of the need for a weaker rupee in the context of ongoing IMF negotiations,” said Bilal Khan, a senior economist at Standard Chartered Plc in Dubai. The central bank’s Monetary Policy Committee will set the nation’s key interest rate later on Friday, with most economists expecting another hike of 100 basis points, according to a survey of 31 economist by Bloomberg.